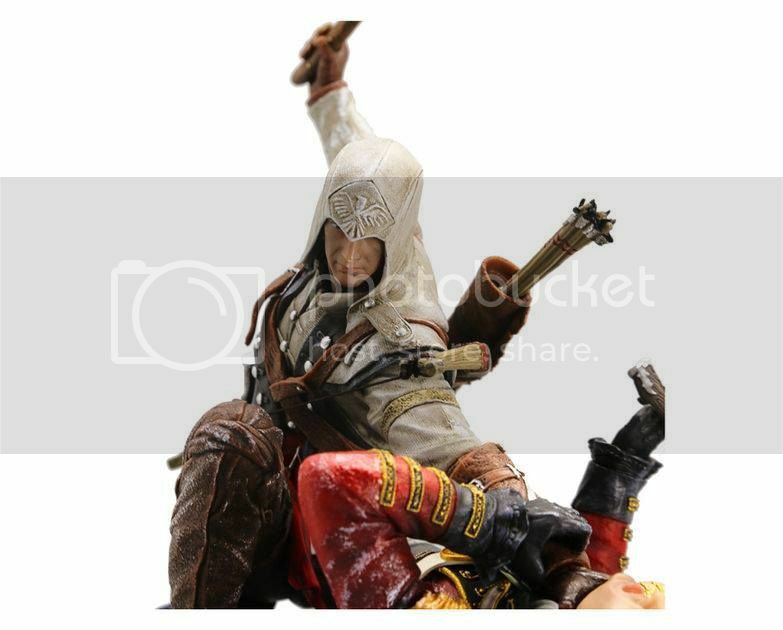 Dr Jengo's World: UbiCollectibles' announces 2 new Connor Statue Dioramas! 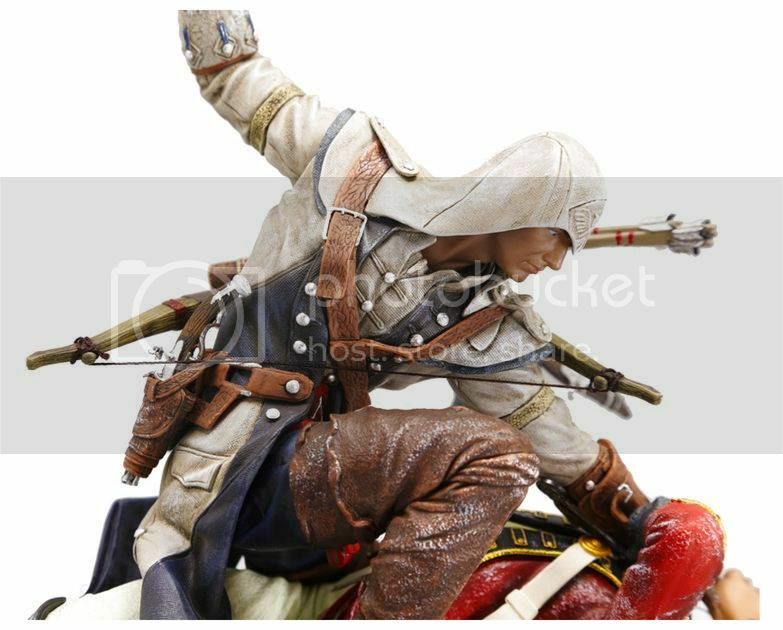 UbiCollectibles' announces 2 new Connor Statue Dioramas! 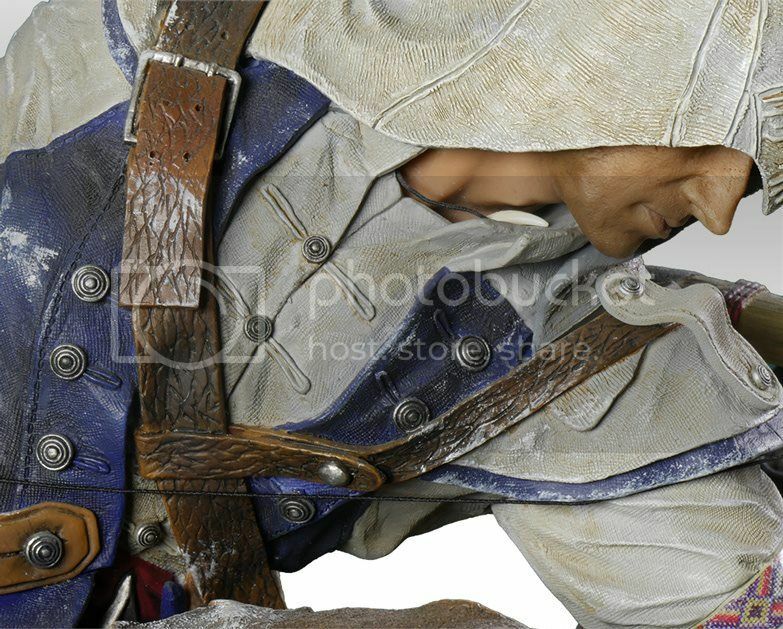 UbiCollectibles continues the Diorama line for the Assassin's Creed games with a Connor, The Last Breath statue. 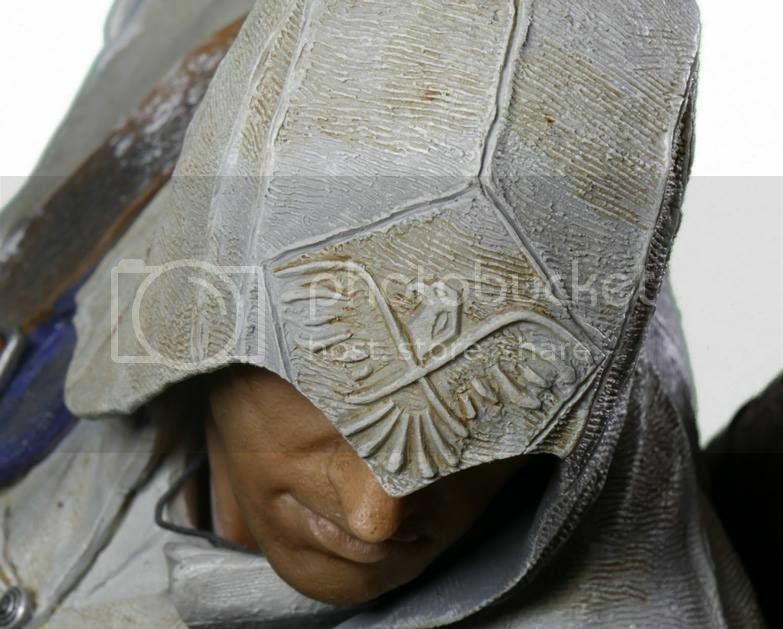 In line with the previously released Altair, Bell & Ezio, Leap of Faith (pics coming soon..) diorama statues, UbiCollectibles, together with Pure Arts have produced another master piece! 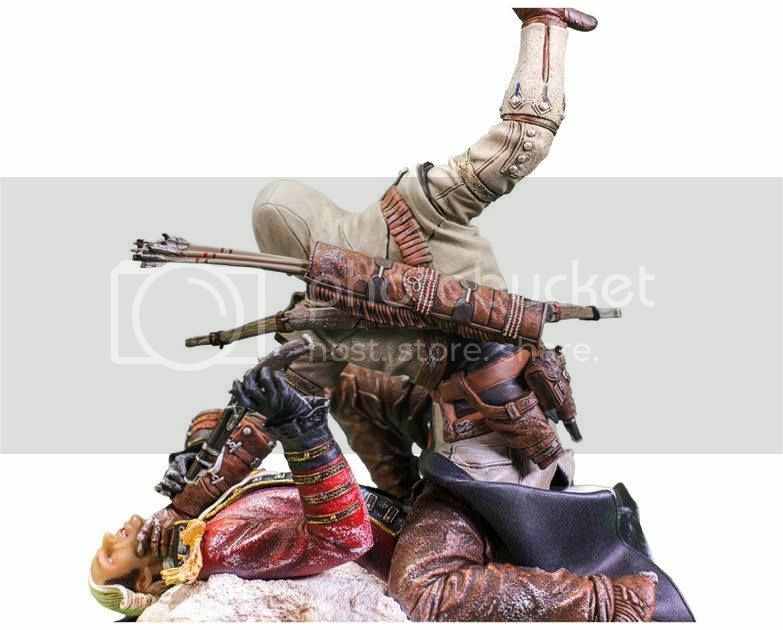 If you think the pose looks very, very familiar.. 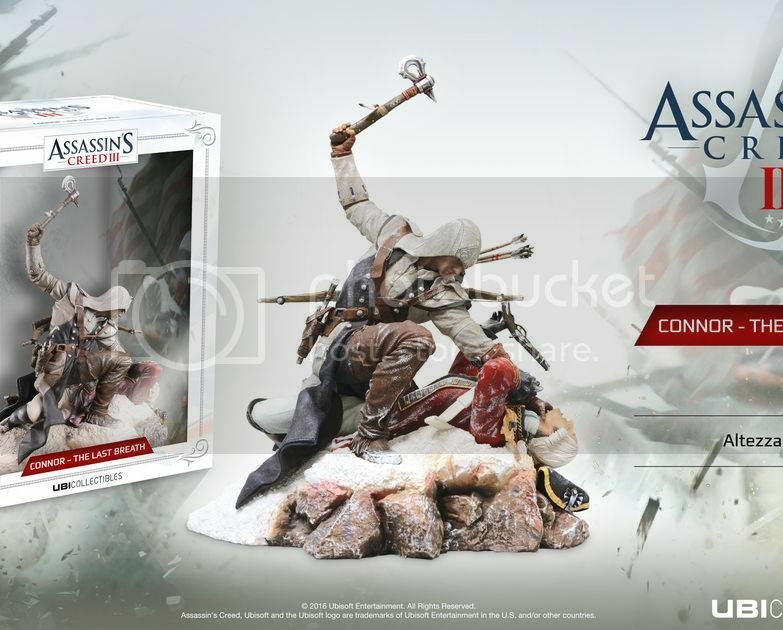 Yes this pose is influenced by the Assassin's Creed 3 game's cover art. No? 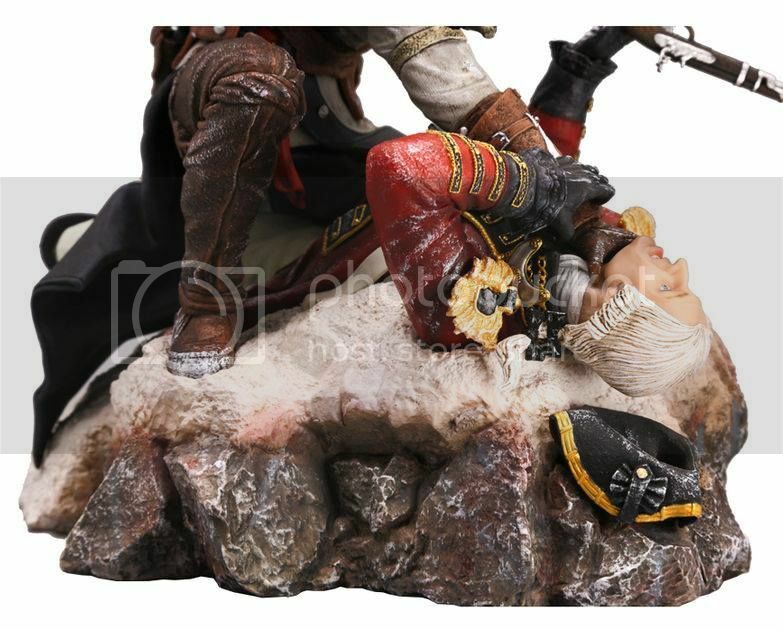 Oh you mean you have seen this statue before? Well... 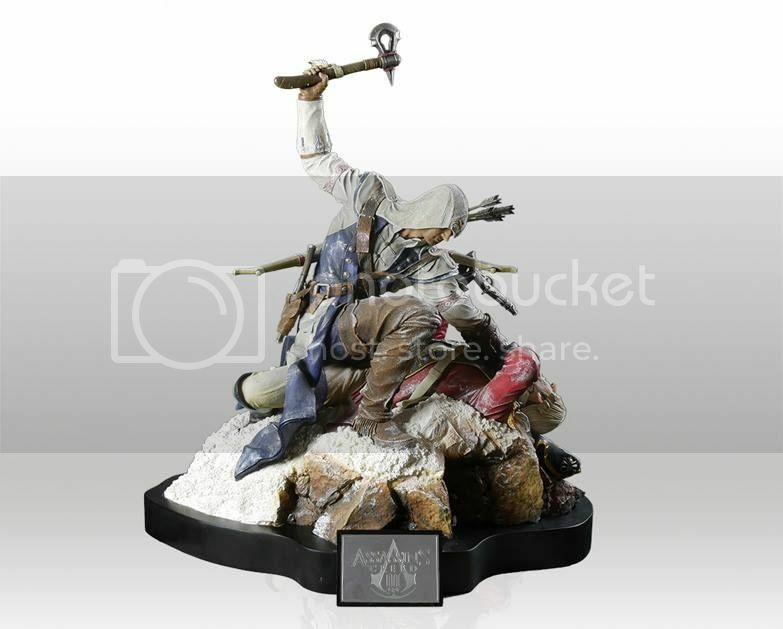 Yes, this is a miniature of the very rare, Connor Premium Statue. 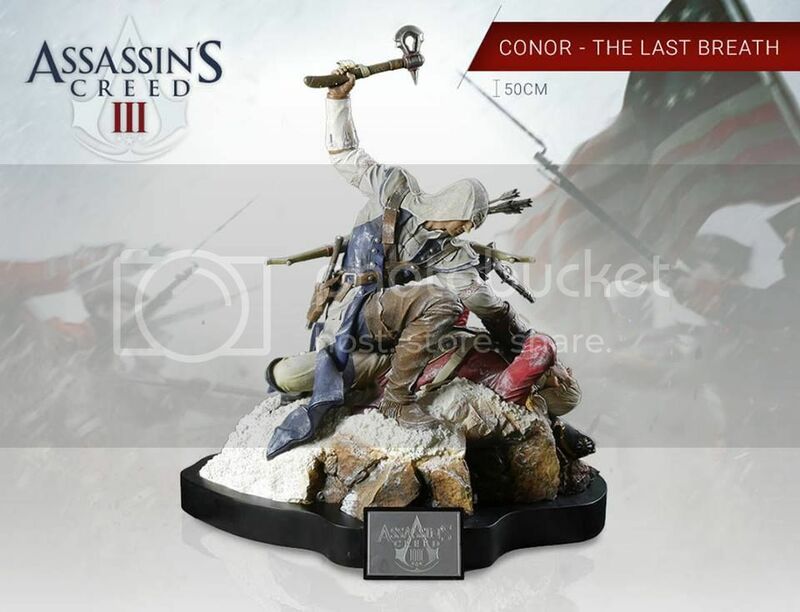 UbiCollectibles also announced that the Premium version of the Connor, Last Breath statue will also be available in 1/4 scale! Do notice the base with a plate in the premium version.. 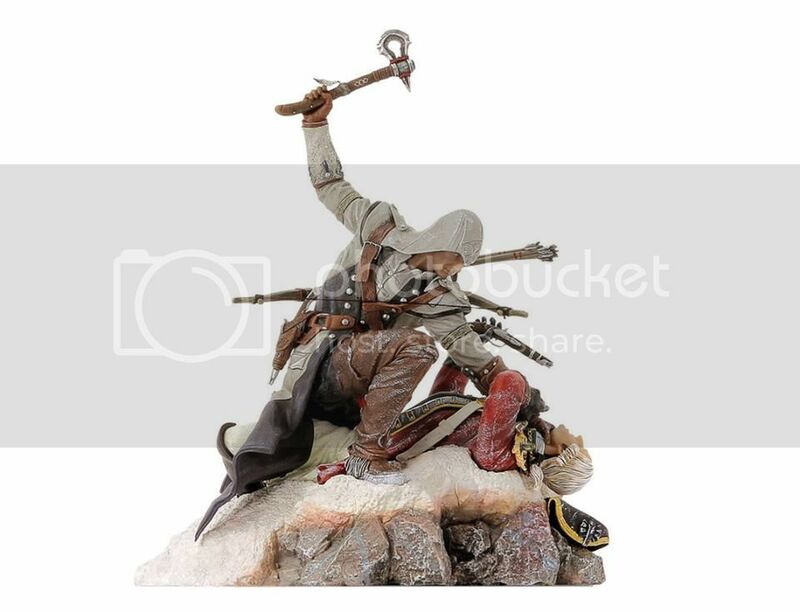 This remains as my favourite Assassin's Creed statue of all time, due to it's size, the amazing details and the sheer intense this violent pose exhibits and how exclusive it was. 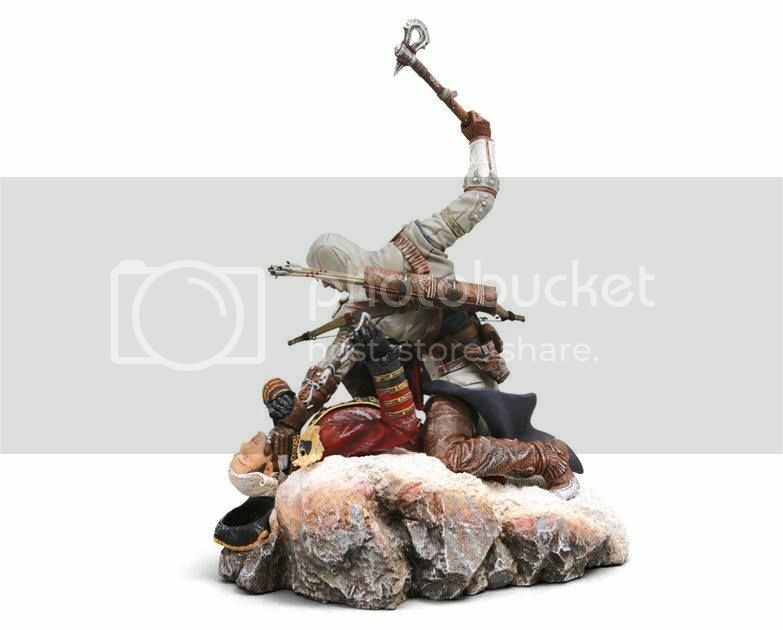 So, I have to admit I'm quite disappointed that they are going to re-release this statue again, making it less exclusive. 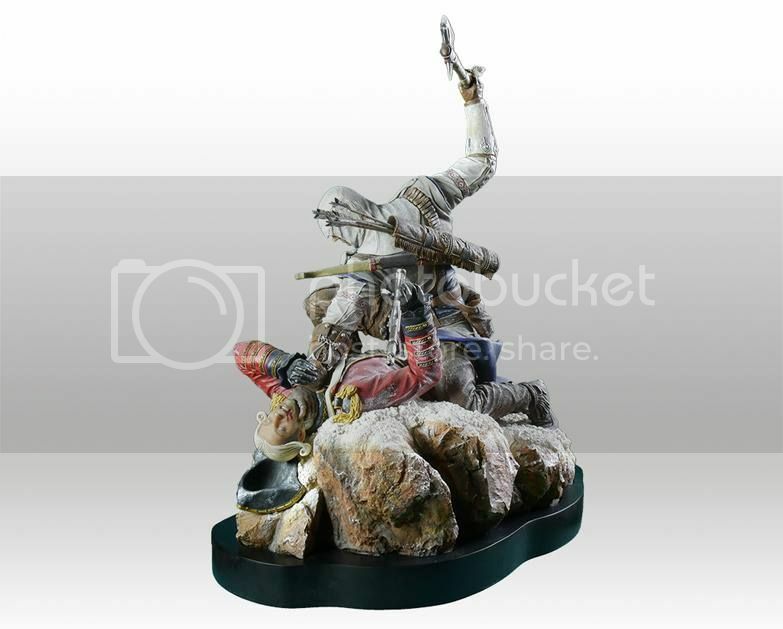 That said, I think it's great for collectors to get a chance at owning this absolutely stunning piece. Not sure if there's any differences between the original and this re-release but it looks pretty much the same. You can view pics of mine here, but I definitely need to take better pics of it. 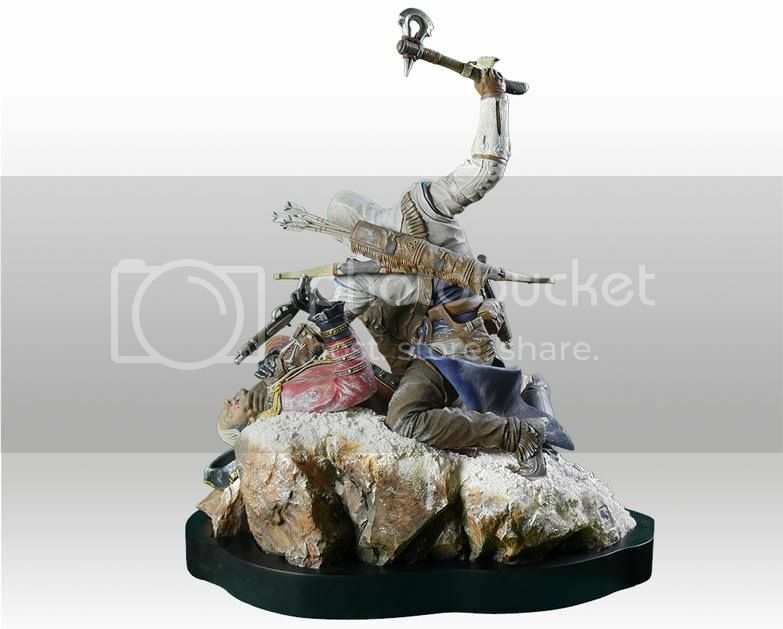 Both versions of this diorama are to be released in September 2016, which is not a long way away now!